ROOMS FROM $99 . RING NOW!!! 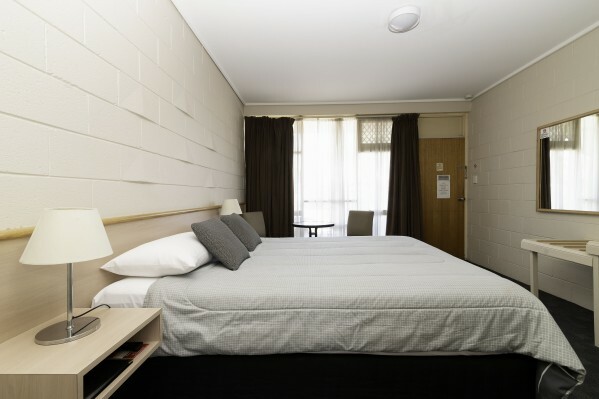 Ideally located in the Dandenong area, The Prince Mark Motel offers convenient, clean and affordable comfort accommodation with professional, friendly service. The motel comprises 25 suites offering standard queen, deluxe queen, twin, spa and family rooms. Prince Mark Motel is centrally located within easy access to many popular destinations of South-Eastern Melbourne as well as to the industrial and commercial centres of Dandenong and Berwick. * Internet via modem is available in the hotel rooms and is free of charge. * Free private parking is possible on site. Reception Hours : Check In at : anytime Check Out at: 2400hrs Please call if late check in or early checkout. After Hours : Please call if late check in or early checkout. From the city, use the Monash Freeway and take the Heatherton Rd turn off. Turn left and then right at Power Rd and follow to just before the Princes Hwy. Queen bed , foxtel microwave, laundry facilities, bistro next door Rates are for 2 people. The room caters for a maximum of 2 adults, or a maximum of 1 adult plus 1 child but cannot exceed 2 guests in total. Continental and Cooked Breakfasts can be ordered and delivered to room. Laundry service available. Iron and ironing board available. Queen bed , Foxtel, microwave, tea making facilities, toaster, fridge & ensuite. Rates are for 3 people. The room caters for a maximum of 3 adults, and a maximum of 1 child but cannot exceed 3 guests in total. Continental and Cooked Breakfasts can be ordered and delivered to room. Laundry service available. Iron and ironing board available. Queen and 2 singles with electric blankets, microwave, foxtel, free off street parking,laundry facilities, tea making Rates are for 4 people. The room caters for a maximum of 2 adults, and a maximum of 2 children but cannot exceed 4 guests in total. Continental and Cooked Breakfasts can be ordered and delivered to room. Laundry service available. Iron and ironing board available. Copyright © Prince Mark Motel All Rights Reserved.